I have a little secret. I'm no spring chicken. It's getting very hard for me to thread a needle and I can sew for about 15 minutes before my hands go numb from Carpel Tunnel Syndrome. I've seen a Chiropractor for the involvement of my neck, and now have found a tremendous amount of relief from a treatment called Rolfing. It's a method of healing various problems in the body by manipulating the connective tissue or fascia. Repetitive movement or prolonged postures create tightening of this tissue which in turn affects your nerves in the surrounding tissue causing pain or numbness and tingling. I went to my current rolfer Brooke Tacak who's office is in the Quarry Hill building off of University Ave. in Madison for a bout of Plantar's Fasciitis. My heel was in so much pain I could hardly stand walking on it the first thing in the morning and then throughout the day when I'd first start walking. Brooke is taking me through a series they call the 10 series where each of the areas of the body are stretched and manipulated to bring the body back into alignment. Long story short, my heel has no pain any more. She's still working on me and hopefully the hands will follow. I'm not so great at taking care of myself. I've always been better at making sure everyone else is taken care of. My body is giving me some pretty strong messages these days. I'm beginning to listen. I'll keep you posted on my Rolfing progress. It really has been great so far. I'm also reviving a Yoga practice tomorrow that I've let slide for way too long. It won't matter what kind of fancy tools I have if I can't hold them for more than 15 minutes at a time. I’ve taught many alterations classes and the first thing I do when we start is ask everyone there why they’ve come to the class. I usually have about six to eight people in the classes, always women and at least half of them say some version of this: Well I’ve sewn for years and so people ask me to do alterations sometimes. But because I’ve never been formally trained I’m not sure if what I’m doing is correct and don’t really feel like I can charge them for it.” I thought maybe if I could learn the “right way” I could start charging people. Over the years I ended up watching the tailors and asking them questions of exactly why they would do things. I was fascinated by their archaic looking tools and ended up getting as many of them as I could for myself when I saw the wisdom of how they worked. I’ve made many beautiful or outrageous costumes over the years, but amid all that, I’ve done a ton of good old fashioned alterations. If you can get good at that, you will never want for work. I’ve been listening to an audio book recently by Martha Stewart, who I have the deepest admiration for. She has single handedly elevated all traditional domestic skills to the art that they truly are. Her book The Martha Rules was written in response to her being continually asked about how she has become such a successful business person. One of the rules is “Make the cake that people most want to eat.” This comes from a story about a challenge given to the contestants on her “The Apprentice” show. They were asked to market a wedding cake to couples in a retail store who were actually planning weddings. The two teams came up with two very different cake designs. One was very unique, colorful and modern, the other a traditional all white cake. The cake that won hands down by getting the most orders was the traditional white cake. Even though whoever makes those cakes may find doing the same thing, day in and out less interesting than a bold new design, people will always need and want to pay for a lovely, well made traditional cake. Martha’s advice to make the cake people most want to eat means this to me; You can focus all your attention on what is most fun and exciting for you to do, but you may be missing out on a lot of opportunity for expanding your “product line” by not giving people what they most often need. Especially in this economy, I’ve found that even people who are not shopping for something new are more than willing, enthusiastic almost to have what they already own altered. I’m not alone, I just spoke to a friend the other day that does alterations and she says that business has never been better. It makes me think that people are coming around to what our depression era elders used to say “use it up, wear it out, make it do, or do without.” Maybe a sewing business that includes alterations can be truly recession-proof. So if I can help a few ladies feel good enough about what they are doing that they can earn an income from it, then I can’t ask for a more rewarding day of teaching than that. In this 2 hour demo, Steffani I'll be showing you how to use the garment copying techniques found in detail in my new book. There will also be time for book signing after the demo. The cost for the demo session is FREE but space is limited. Those attending the demo will receive a discount on future garment copying classes. 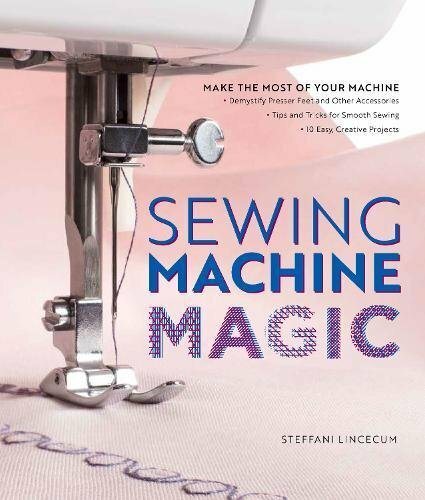 Electric Needle Madison: Master Your Sewing Machine – open to people with all makes/models of sewing machines. 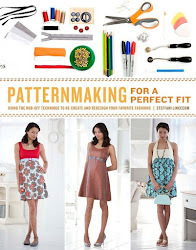 In this class, you will learn the basic functions of your sewing machine. You will enhance your understanding of basic utility stitches and get ideas about what to do with decorative stitches. We will also cover tips to avoid common pitfalls. 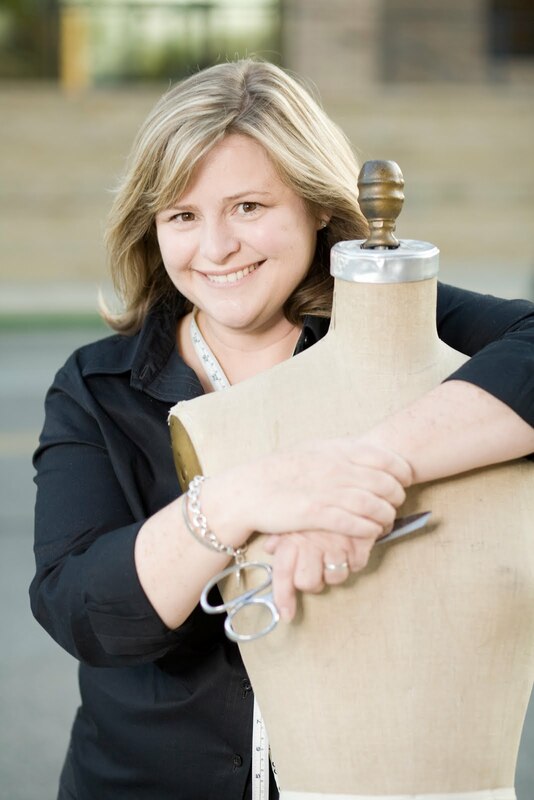 Master Your Sewing Machine course fee is $40 – you will receive a class supplies list when you register. Thursday October 28th. 10am -12pm OR 1pm- 3pm. This class will kick off the long Halloween weekend for kids ages 9 – 12 featuring basic machine and hand stitching techniques. Each student will select their monster’s base color and shape. From there, hand embroidery and appliqué will ensure each monster has its own personality. No prior sewing experience necessary. This class is $30 and includes materials for the creation of one Plushy Monster. Re-purpose your washing accidents, or felt some sweaters on purpose to create a wonderful patchwork jacket! In this class we will be creating our own patterns and using felted wool/cashmere sweaters to bring them back to life in the form of a warm jacket. Re-purpose your washing accidents, or felt some sweaters on purpose to create a wonderful patchwork jacket. This project will be stitched using a serger. 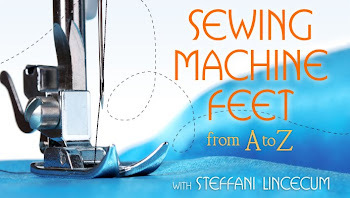 If you own a serger – set it for the flatlock stitch and you will be good to go! If you are curious about them, join this class to have a chance to try your hand at serging. This class is $50 ~ you will receive a class supplies list when you register. I went to Chicago yesterday for a "Sewing Circle" event at Barney's taught by Natalie Chanin of Alabama Chanin. She demonstrated her reverse applique technique as featured on some of the pieces from her Alabama Chanin line. There was also a trunk show of the clothing collection there at Barney's so we could see all the crazy intricate couching and beading and reverse applique that you may have seen in her books, The Alabama Stitch Book, and Alabama Studio Style. There is no photograph that can convey the luxury of these pieces. They are stunning. Even though they are made of cotton jersey, the layering of the different pieces and the handwork that covers every inch, gives them a heft and a density that is both substantial and light at the same time. If you ever get a chance to go to one of her retreats or other sewing events, don't pass up the chance. Sitting there for a couple of hours sewing with her made me want to sign up for a weekend workshop. It's at the top of my wish list.